Large practice area with three driving bays, two smaller practice areas with putting greens. Clubhouse with bar and catering facilities, changing rooms. Well stocked Professional Shop. 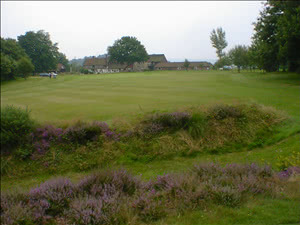 Established in 1893, Holtye is a golf club owned and run by the members, which has a reputation for a very relaxed atmosphere and a friendly welcome to visitors. It is a highly regarded, heathland 9-hole golf course which is an extremely good test of golf, the variety of tee positions presenting a different challenge on the back nine. The visitor's fees represent excellent value for money and first-time visitors will not be disappointed.